The Marines are working with IBM on an artificial intelligence tool to help find the most efficient and effective ways to deploy troops, whether in rapid response to a crisis or as part of a standard five-year plan. The system, which IBM refers to as augmented intelligence, builds on the same Watson-predictive analytics used in forward-looking vehicle maintenance, mixes in natural language processing and data science, and crunches real-time and historical data to give commanders a clear view of their options, IBM said. It assesses the readiness of battalions to respond to an emergency, identifies reasons why certain battalions might not be ready, and also projects the ripple effects of any particular deployment. The Marines earlier this year completed a pilot of the new system, running on the military’s Secret Internet Protocol Router Network (SIPRNet), and are planning to eventually roll out the system to units worldwide. The pilot considered a number of variables in assessing readiness, including data on the lives of Marines themselves, such as the amount of time they spend deployed and at home–or what’s called depth-to-dwell ratio, IBM said. That data is correlated in with other factors, such as whether a unit is infantry or aviation, so that the planners can select the right unit for the job when a sudden conflict or emergency crops up, whether it be a terrorist group offensive in the Middle East, or an earthquake-spawned typhoon elsewhere in the world. Meanwhile, the AI tool also takes into account other missions happening simultaneously while assessing the impact a deployment will have on readiness when the next crisis arises. The Marines have long carried the “First to Fight” mantra, which dates to the Marine Corps hymn of the late 1880s and started seeing side use during World War I. But in addition to rapid response from forward deployments, the Corps also regularly engages in long-range planning. In either case, however, those plans have tended to take shape on Excel spreadsheets and illustrated-by-hand whiteboard. AI tools gives commanders the ability to incorporate, analyze, and consider by clicking and dragging as opposed to poring over pages of paper documents. This provides a lot more data when projecting the effectiveness and impact of missions. The tool can put the elements of commanders’ decision-making onto a single screen. In reviewing the outcomes of deployments, the tool can help assess where troops might need additional training. It also can look forward to potential future flare-ups, even alerting the Marines to a need for additional recruiting of troops that might not be needed for a couple of years. IBM said further improvements in AI’s predictive capabilities could eventually enable the tool to recommend courses of action. All decisions would of course rest with human commanders. Calling the system augmented intelligence might be a semantic difference in some ways. Some AI researchers have recommended using the term as an alternate way of looking at artificial intelligence, because it emphasizes that AI–regardless of what the A stands for–is best used as a tool to supplement human intelligence and assist, not replace, human operators. 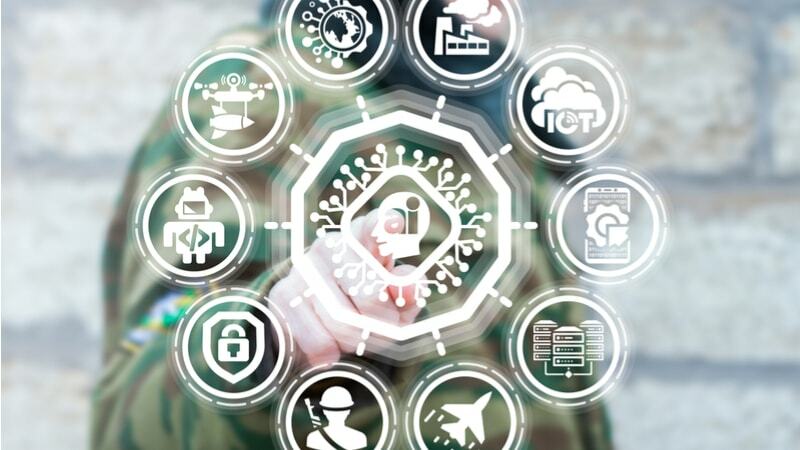 That also ties in with the Department of Defense’s plans for human-machine teaming as the principal use for AI, whether in cyber defense, electronic warfare, ground teams of manned and unmanned vehicles, or squadrons of piloted aircraft and drones. The Marines are looking to give AI a place not just on the battlefield but in the command center.